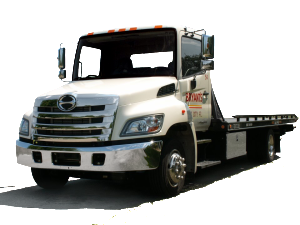 Our fleet of rollback tow trucks will have you to your destination in no time. Our local towing includes Lake City, Live Oak, Branford and Ft. White area. 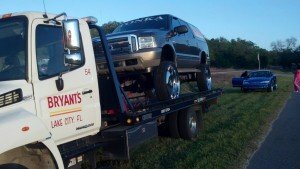 Most members of AAA will receive local towing at no cost. Our vehicle services include jump starts, changing flat tires to a spare, and winching out vehicles from mud and sand. If you are making a long trek across the state, or even across the country, our fleet of rollbacks can safely transport your vehicle to your destination. 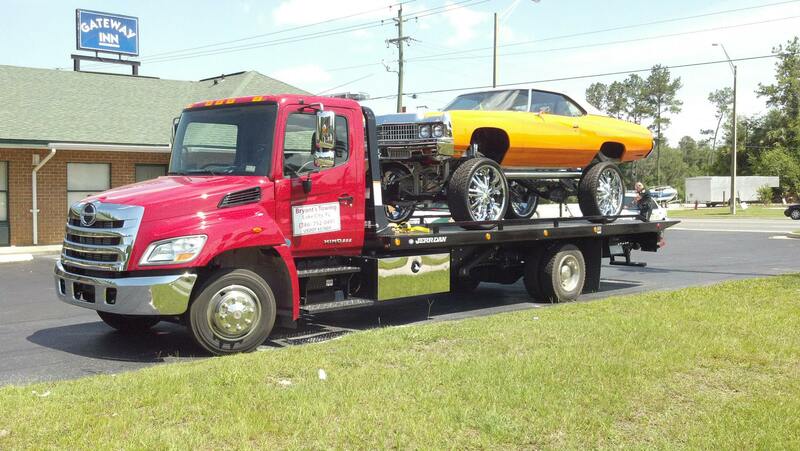 We have one extended cab truck for towing your vehicles guest. (By request) We offer affordable rates which can often save you the time and money of having to stop at a hotel. 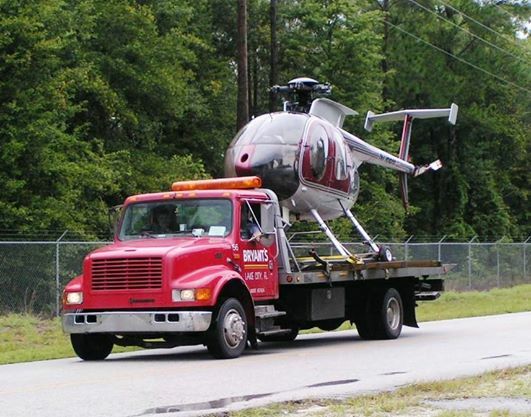 Bryant’s Towing offers medium duty towing services for large pickups, RV’s and box trucks. 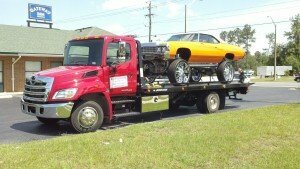 Our medium duty wheel lift truck will help get your companies vehicle off the road and to the repair shop. We also offer commercial fleet towing services and are proud to tow for corporate fleets such as UPS, Fed Ex and USPS. To lock in a rate for your companies fleet, call today! Motorcycle towing can be tricky. We offer motorcycle towing in most cases and will keep your bike safe from being tipped over or scratched. 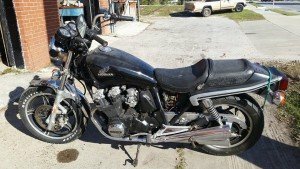 Please contact us for more information about our motorcycle towing service. 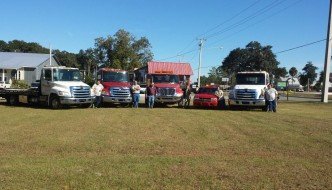 Looking for truck tires such as 235-75-15 in Lake City? We stock several new tires such as the 235-70-15 and can custom order thousands of tires from major brands such as Cooper, Falken, and more! We offer competitive new tire pricing, wheel balancing and installation. In addition to new tires, we are one of few used tire dealers in Lake City. Our inventory constantly changes, so stop by today and see what we have in stock! Need to get an oil change? We offer oil changes on most cars at competitive pricing. We offer mechanic services for those looking to replace items such as brakes, alternators, starters and more!